Butterfly Reflections, Ink. : Happy Birthday! Happy Friday yall!! 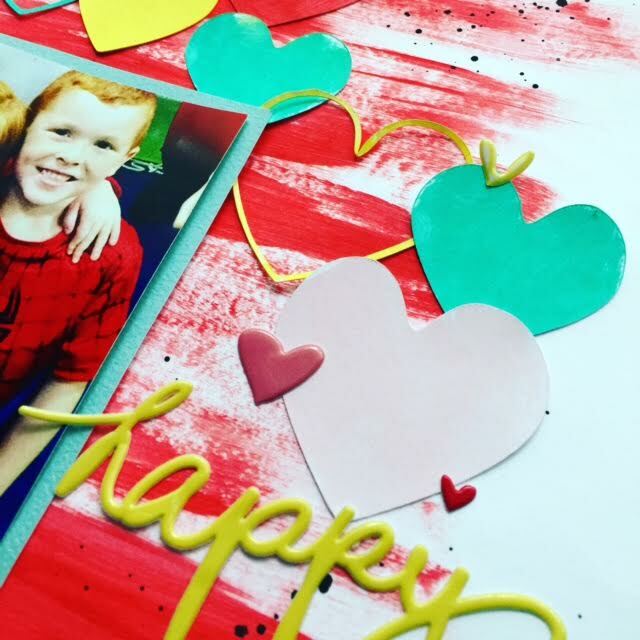 I am back with another layout and I am using the Fancy Pants Happy Place Collection!! I love this collection. I like how its not to girly or not to boyish. It's really a great mixture. So here is what I came up with for my first layout! 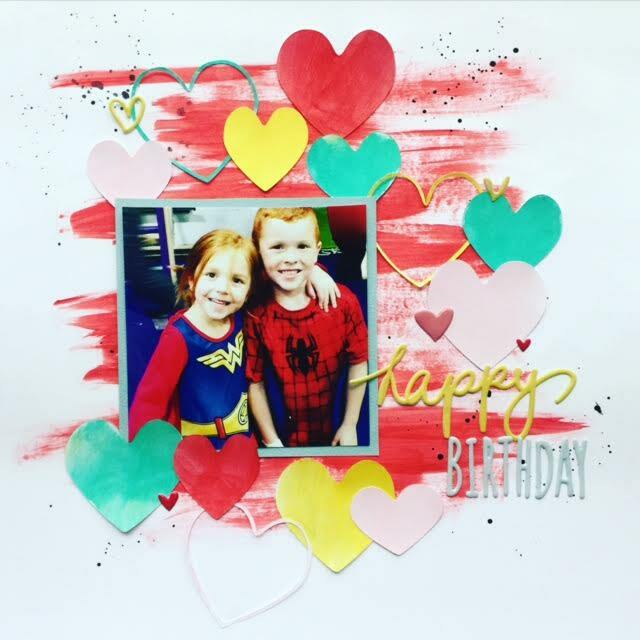 I wanted to do a mixed media back ground and use these left over paper hearts I had laying on my desk. I just picked out some colors that I thought went with the collection and BOOM! there's my layout! I also used the Happy Place Script Word Stickers on this layout. 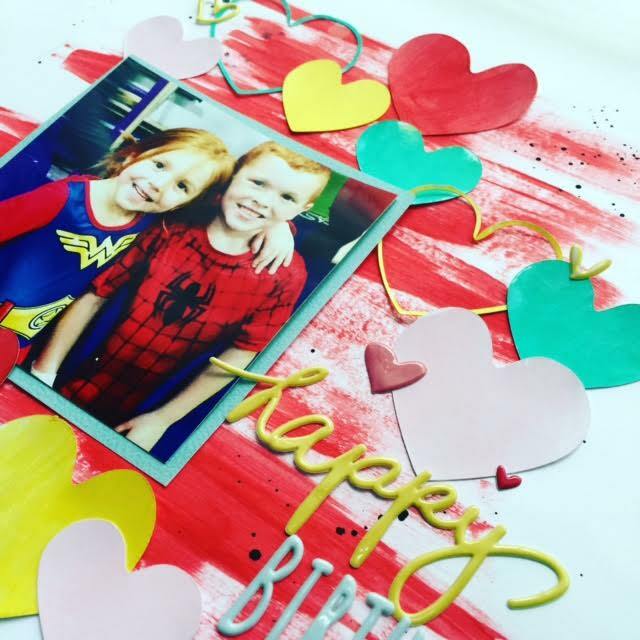 This was my daughters birthday party, so I used the work happy and some heart stickers that came on the same sticker sheet. I hope you all enjoyed this layout! be looking out for the process video over on my YouTube channel!